The S-25A30 is optimized for in-line metrology and electronics inspection equipment that require high resolution to increase throughput or accuracy or both. But it can be customized to meet specific system application and architecture requirements. 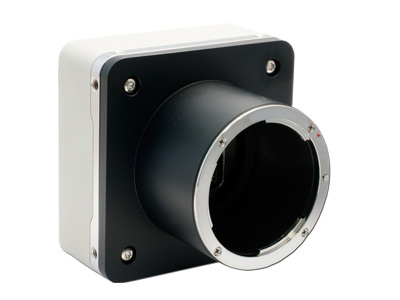 The Shapphire 50Mpx CoaXPress camera delivers 7920x6004 pixel resolution at over 30fps with 4.6 micron square pixels. Camera is fully compatible with S25 and Q12 CoaXPress Adimec offers the Sapphire 50 Mpx CXP cameras in a low power,compact outline design freedom for system integration with a maximum system reliability. The S-50A30 offers Connect-and-GrabTM service installation. 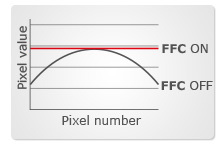 The camera has a stable image performance to minimize customers' system calibration time. Typical applications examples: - Flat panel inspection - Semiconductors metrology tools - Solar Inspection. The Sapphire series eliminates typical large area scan artifacts present in VITA 25K via Active Sensor Control, a practical and easy to use embedded semi-automatic calibration function. 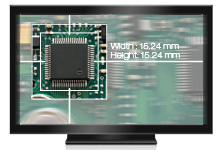 It calibrates the camera without involving up-loading images to a PC. With Active Sensor Control the 25 megapixel technology can optimally be used for accurate inspection and metrology applications. Using the region of interest in this camera does not only increase the frame rate but offers new possibilities to capture images. 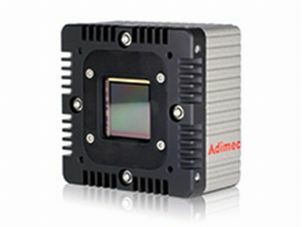 The combination of large sensor width (up to 5k per line) and the ROI functionality of the image sensor creates new area scan camera applications you never thought of before.